It's close to where I am staying, anyone here ever check it out? 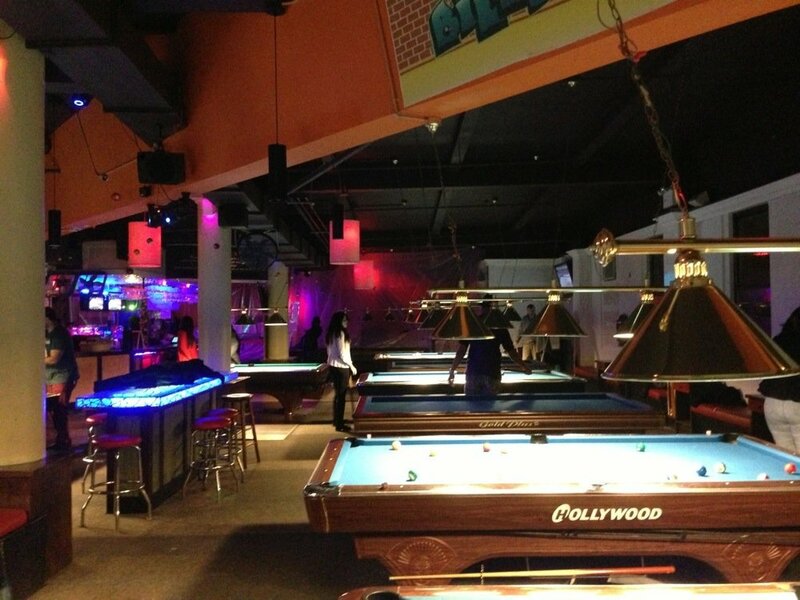 There are pool tables there, but it's more of a club hangout than a real pool hall. Society Billiards on 10 E. 21st St.
Jon Smith is the house pro here. It's underground, dark, and sometimes the music is a little distracting. Not my favorite place, but they have great tables and great players. Amsterdam Billiards on 110 E. 11th St.
Tony Robles and Hunter Lombardo are the main pros here... but you get plenty of people dropping in regularly. You can't really go wrong with Amsterdam other than the fact it can be hard to get a table on certain days/times. Definitely where you should go IMO though. Last edited by mattkenefick; 07-28-2016 at 02:12 PM. Thanks. I have played at Society and Amsterdams before and will no doubt be back there in the next few days. Space is just a block away so I may forget about the jet lag and check it out. Not worth the hassle. I went there a lot as teenager to drink, but the tables not meant for actual pool players. There aren't that many real pool halls. Even amsterdam and society are the same. Bar first pool second. Music is so loud at society good luck focusing. Make it to stienway, carom or gotham. I live in manhattan and I can't stand abc or society. Also you can take a fast train ride to Steinway. Take the "M" or the "R" to Steinway Street (or the "E" to Queens Plaza and change for the "M" or "R") and the room is only a block and a half from the station. You might even see Earl practicing. Space has Hollywood tables, and the time last time I checked rates were $17/hr, regardless of the number of players. It's a novel little room tucked away in K-town, but for serious play you should seek elsewhere. There is something very compelling about at least one of the pictures you posted. Why would anyone pay somebody's hourly wages to play pool on mediocre tables? Glad I don't go there. Plenty of great recommendations in this thread. People always try to come up with "what's wrong with pool", "how do we fix pool"... want to know what's wrong with pool? The people who play pool. That's what's wrong with pool. Case closed. What is so bad about Amsterdam and Society ? I prefer Amsterdam and Society music is loud sometimes, but I like both and Steinway. All 3 have quality tables, balls and good regular players. The big difference I see is in the non serious pool player customers. There locations are a part of it. Last edited by ronscuba; 07-28-2016 at 08:39 PM. I'm with you. Always strong players at Amsterdam, and easy to get a friendly game. I frequent Amsterdam and Gotham Billiards and prefer Gotham. Gotham is my second home (I play out of Staten Island) has beautiful Diamond 9 fts and a lot of them, along with a Bigfoot and there's always some guys looking for action. Amsterdam is a great place but it is a tad pricey and not a huge fan of the bucket Brunswicks they have. What kind of atmosphere are you looking for? Space caters to the bangers from k-town. Its the place I would go with non-pool playing friends after some Korean style BBQ or Soondubu. Do you want top notch equipment, never ending chalk, house staff that can sympathize why you have to replace your kamui extra soft every two weeks then check out Amsterdam and Society. Society have Diamond tables, but if the music is too loud or modern then head over to Amsterdam. If you're looking for tournaments or action, then go to Steinway in Queens. Ask for Finnegan. Who's your new teammate and where did she get her Hello Kitty chalk? likely comment is "her bridge is too loose, arm isn't relax, and if she is a D+ then she's over ranked"
Last edited by ctyhntr; 07-29-2016 at 05:33 AM. Never been to Gotham, but hear good things. It's a little too far for me since I can get to Amsterdam, Society or Steinway in 20 minutes or less. Amsterdam location in Manhattan drives up their pricing. Like most places, regular customers are treated well. Amsterdam is fine if you go during the day. If you late forget it. The music gets quite loud, the tables could be kept in better condition. I use to go to ABC lot back when it was West and east Amsterdam. West Amsterdam being awesome. After they merged and moved to usq, it just not what it use to be. Sure there are good players at amsterdam but their priority is people who go and drink. If you play league at ABC you know all about the bs that league players deal with. Rent needs to be paid I get it but the place isn't what it use to be since the move.